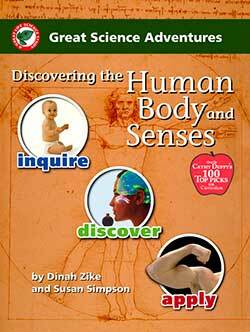 I think authors Dinah Zike, M. Ed. and Susan Simpson have done a very thorough job. There are presently ten topics (listed below) in the series. 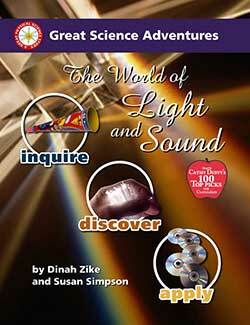 The Great Science Adventures Series from Common Sense Press is a multi-level K-8 homeschool science curriculum. Each title is on sale all year long! The Rest of the Review for Great Science Adventures! There are 24 complete lessons in each of the books in the series. The authors have been careful to format them in the same format. 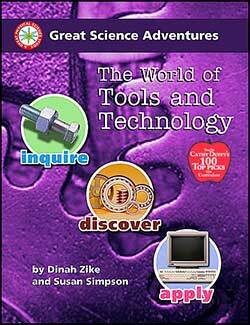 Hence, once you have used one Great Science Adventure, you know how to use them all–a great timesaver for the busy homeschool parent. 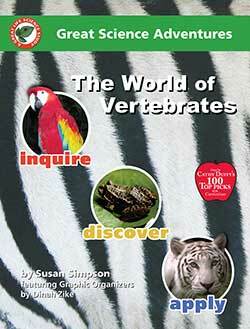 Each Book Uses “3D Graphic Organizers”. It could sound intimidating until you realize that it is neat ways to fold regular 8 1/2″ by 11″ white paper into different little books. The instructions are easy to follow and learnable. I have to tell you that when I saw that part I was going to skip it, but I had to do it for my children and this column. All of us enjoyed making the different organizers and using them for review. In the World of Tools and Technology, we made a nifty timeline and used the graphic organizers to study each type of tool. My favorite “fold” is the pocket book which has many uses beyond those listed in this book. One of our grandmas was ill, and I gave a “pocket book” paper to each child to create a get well card. We glued them together to create a Get Well Book. Needless to say, Gram was impressed! That alone was worth the price of the book for me! 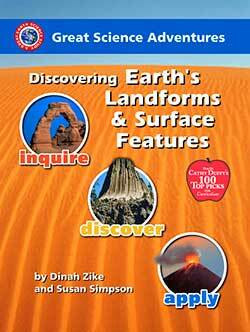 The E-Book Materials Packet Makes Printing the Lots Of Science Library Books Easy! 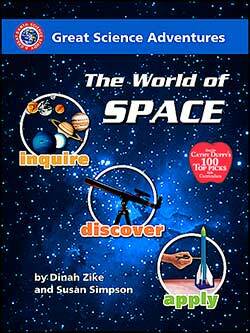 If you buy the E-Book version, it will be much easier to print the little Lots of Science Library Books. They should line up correctly. For those of us who are veteran homeschoolers and former copy machine operators: you are expected to make a copy of each little book by copying on both sides of page MATCHING the little lines so when you cut the book apart all the pages are lined up. Needless to say, I only made one little book with my copying skills. I pulled out my handy dandy scissors and cut up (YES, CUT) my copy of The World of Tools and Technology to make those cute little books. I would like to suggest that the publishers offer a separate copy of the reproducible sheets for those of us who will pay NOT to have to make copies and would like to keep their books intact (preferably in shrink-wrapped loose-leaf pages). It’s not a pretty sight when half the book is gone! OK, that is my only negative comment about this series! Except for that, I genuinely liked it, and we are planning to do either the World of Insects and Arachnids or the World of Plants next—and cut the book! 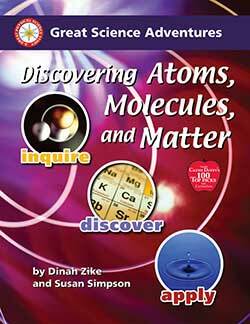 #ProblemSolved Buy the E-book Materials Packets for each print book or buy the Ebook version. The back cover accurately says the Investigative Loop™ provides lab activities with complete, clear directions, material lists, questions, and data for students to record. 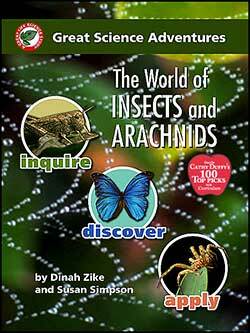 The activities were written with the homeschool setting in mind! Everyone benefited from that part. 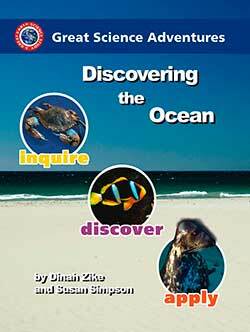 Each lesson offers several individual and/or group enrichment experiences, investigations, and research. 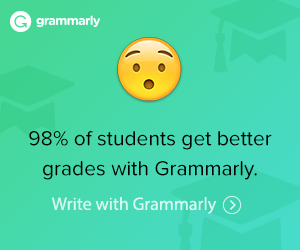 Your students will be able to choose an activity that is appropriate for the skill and interest level. 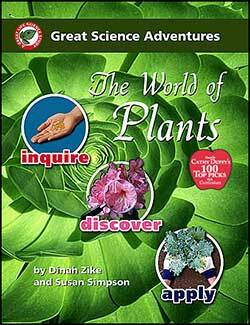 Overall, I recommend the Great Science Adventure series for those who want a homeschool science program that is economical, holds interest, is multilevel, has a structured format, is varied, and enriching. The authors have made it something worth remembering!